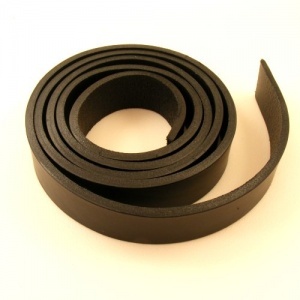 A really chunky through-dyed black cowhide, approx 4mm thick and ideal for sturdy belts and straps. This is a quality Italian leather which is well finished on both sides. Choose your strip width and quantity in the box above.